EMILY Seebohm and Mitch Larkin have opened up about the difficulty of preparing for the Pan Pacs in the wake of their breakup after both won medals in the 100m backstroke in Tokyo. 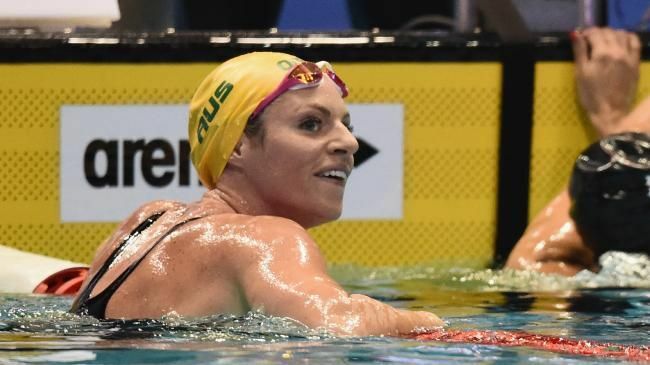 Seebohm revealed she was only a 50-50 chance of competing just a fortnight ago but by toughing it out, she believed she would be able to face anything. 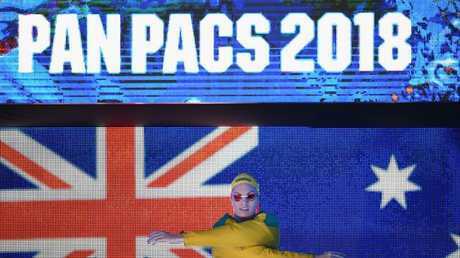 The world champion over 200m, Seebohm beat world record-holder Kathleen Baker of the US, and went within a whisker of out-touching Canadian winner Kylie Masse in a tough as teak showing. "I said tonight as long as I went under 59sec, I'd be pretty happy," said Seebohm, who finished in 58.72, just 0.11 behind Masse. "To get so close to her and just off winning is pretty good. "It's awesome to see that everything I've gone through has been worth it and to come here and tough it out and really show that swimming is my passion and I love it, it's just awesome to be here. "It's obviously not the easiest situation but I've held my head up high and I came here despite everything and really showed what I can do tonight." 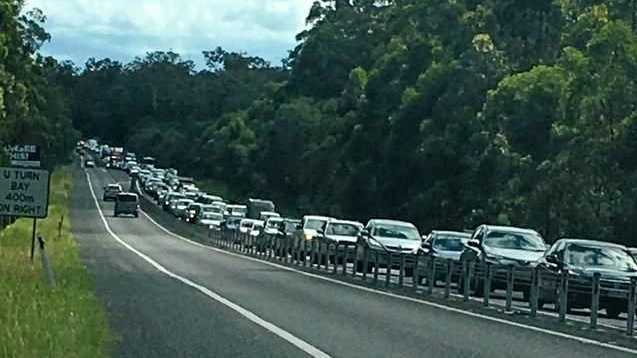 Seebohm has been in and out of the Australian camp ahead of the Pan Pacs, arriving late to their Cairns base before returning to Brisbane as her Dolphins teammates headed to Japan and only arriving in Tokyo just over 48 hours from the start of competition. "If you asked me two weeks ago whether I'd be here to race, the answer would have been 50-50. So to get here and do it, despite everything, I'm stoked," she said. "I said to myself I had nothing to prove here. I'm basically here to get stronger as an athlete and stronger as a person and whatever comes my way, I feel 2020 will be a breeze compared to this." Larkin (52.88) finished with bronze in the men's final behind American Ryan Murphy (51.94) and Japan's Ryosuke Irie (52.78). "I'm really happy, it keeps me really motivated and that feels pretty incredible," he said. "My speed is not the best it's ever been … I'm fighting a bit more for that at the moment but I'm really happy with where we are at the moment." 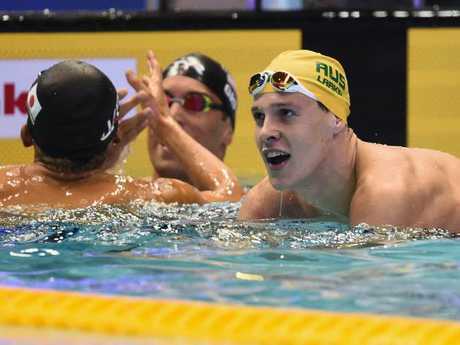 Larkin has said little since news of his breakup with Seebohm broke almost a month ago. But he said he was pleased with his effort after a tough preparation. "It was challenging for sure," he said. "I was able to hold my head quite high and a lot of those issues were personal stuff. "I've got a fantastic team and Dean (coach Dean Boxall) has been super supportive and it's been challenging but we said, 'if you can get through this, you can get through anything'. "It's been a really great challenge for me."